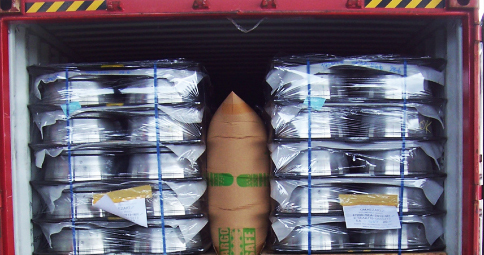 Carribulk Container Liner, Pure Dry Desiccant, Cargo Safe Airbag by CARGO PERFECT CO.,LTD. Our products are simply the best solution with great quality to help support customer goods. Cargo Safe Airbag is placed between cargo and inflated with air, now the cargo is more stabilized and secure, effectively protected against costly transport damages. Pure Dry is a moisture absorption which produce from natural clay. It is the best product to adsorb moisture with no harm and more effective than silica gel. 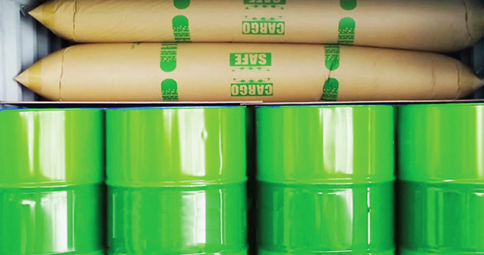 Carribulk is a film liner offer the highest protection in the industry. Optimized for safety, product protection and contamination prevention, these liners are ideal for transporting petrochemicals, specialty chemicals, pharmaceuticals, flours and other sensitive products that require a pristine environment.